Miraculously, the year is almost done. 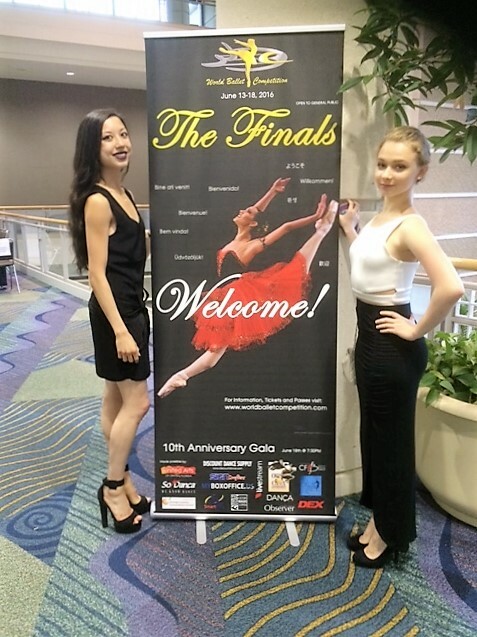 I’ve just spent eight days in wonderfully sunny Florida competing in the finals of the World Ballet Competition, celebrating its tenth anniversary. This competition marks the conclusion, challenge-wise, of the toughest year at the Bolshoi Ballet Academy so far. And rightly so – my final year is coming to a close after the expected hurdles of my state exams, finding work and this, the biggest competition I’ve participated in. I couldn’t have hoped for better results in my exams; I received fives across the board for my vocational exams and five with a distinction for my academics. All of this made for a really positive lead up to the competition. Of course, my arrival to Florida was tinged with sadness due to the horrific mass shooting that took place in the early hours the day after I arrived. However, the competitors suitably paid tribute to those that that lost their lives and were injured or involved and we used the competition as a way of celebrating their lives as opposed to dwelling on the negativity that inevitably came with their loss. This was my third international competition, and I can honestly say I’ve never had more fun. I was happy enough just to have been accepted to the competition finals from the video pre-selection and was looking forwards to dancing the Spanish variation from Paquita and my new contemporary, Tatiana’s Lost Illusions choreographed by Alisher Hasanov, in the first round. 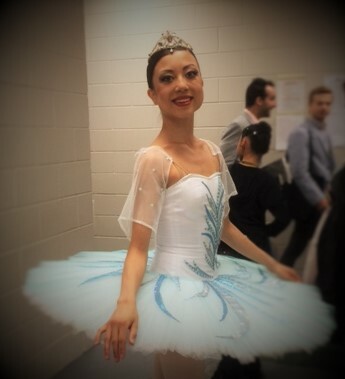 The most exciting part of the competition was advancing to the second round and being able to perform a new variation, Henriette from Raymonda, in my brand new Grishko tutu, and the Little Mermaid that I’d performed along with Paquita earlier in the year in VKIBC in Brussels. I was deeply honoured to be acknowledged in such a prestigious competition, especially as I competed in the professional category. Over 600 people applied and over 200 were selected to participate. Overall, I was third highest scoring girl and in the top ten of the entire category (ranked seventh). The highlight was being able to stand with the other top ten dancers on the stage at the Awards Ceremony prior to the Gala performance on the final day of the competition. It felt like a fitting celebration of all my achievements throughout the year. I took part alongside my very good friend, Nastia, who competed in the pre-professional category which made the competition even more fun! I was extremely lucky to have the opportunity to be coached by Nastia’s American teacher, Miss Lannin, who provided me with invaluable advice and support throughout and gave me such confidence to perform at my best. The competition closed with a Gala performance in which professional dancers from New York City Ballet, Orlando Ballet, Cuba Ballet and others performed various pas-de-deux and contemporary pieces. I found it extremely interesting to see very American trained dancers and how they differ from the dancing I am used to seeing on the Bolshoi stage. I was mesmerised with their virtuosity and strength. All-in-all, I found the experience hugely rewarding and now feel ready to hit the professional world of ballet! See excerpts of my performances here. always so interesting for us to read – thank you for finding the time to share with us and congratulations. Tala… fantastic… we continue to be so very proud of you and your achievements. Fondest wishes from Mike on behalf of the Grand Order of Water Rats.